Niche perfume is the new mainstream. 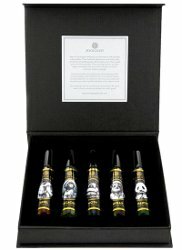 Last week I received an order of 10 “niche” fragrance samples that set me back $50. Yeah, I’m a sucker. I put a dab of each perfume on a finger before I started a painting project. As I sniffed my fingers over the next 15 minutes, I was upset to smell that most of these perfumes quickly devolved to basic Iso E Super, Cashmeran and white musk. Worst: most of them cost around $200 for 50 ml bottles! What a rip-off…and what a disappointment. The last couple of years I’m finding more interesting things for sale by mainstream/designer fragrance companies than the proliferating so-called niche brands. 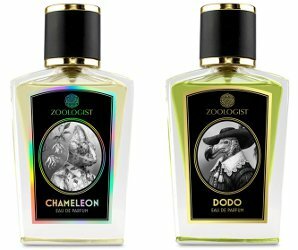 The Luckyscent Discovery Set from Zoologist: "Explore the vast environment of Zoologist's engaging, challenging, uniquely beautiful fragrances in a gift-worthy discovery set curated exclusively for Luckyscent and featuring the LS exclusive Hyrax scent." 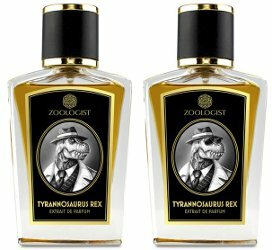 With 11 ml sprays of Camel, Hyrax, Macaque, Moth and Panda, $145 at Luckyscent.